This world is a global village where you get connected to millions of people all through different communication channels either they be social sites, smartphones or internet, we all become so near to each other by easiest means. Nothing is impossible in such an advance world where technology is kissing your feet, where touching the moon’s surface has become common, where rockets and ships are sent on space, when life is found on planets, when even human cloning is being observed. What else do we want when every source and resource is being implied by all & sundry? Still one thing is to be noticed that we are too busy to go out and shop for ourselves, we are poorly engrossed into our routine life that finding time for our own selves has become an uphill task. Therefore you can always shop for your own self online through online shopping stores. From tools to electronics, from fashion dresses to home décor, from toys to gadgets/devices from food to event shopping anything and everything can be looked at online. But there are still people who like to experience and get first hand things on their own therefore they time & again visit malls/markets to get the best products and items for themselves. Obviously you cannot and shouldn’t carry luggage, eatables and shopping goodies in your bare hands, you are in need of a hand carry, a shopping bag and customer bag to carry things along to your car parking area etc. Malls and brands get their shopping bags made by the designers on professional basis so to give a good shopping experience to their shoppers. Here I designed a shopping bag recently that you can use in your presentation for your client. Just insert your elements into this mockup and it will serve you a great deal. 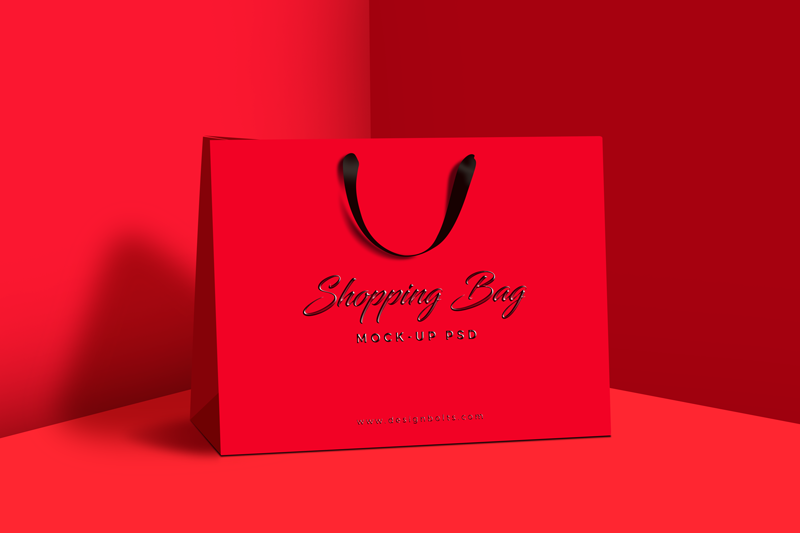 Check out this free premium shopping bag mock-up PSD file. I hope it will help you in your coming design project. This mockup will add an oomph factor for your client’s presentation. Stay tuned for more fun design dose. Here we go!